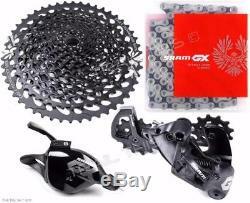 SRAM GX Eagle 12-Speed 4-Piece Kit / Group Set Trigger Cassette Derailleur Chain. 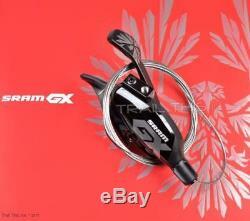 New SRAM GX 12-Speed 4-Piece Mountain Bike Trigger Shifter Groupset. 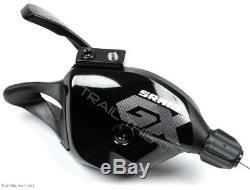 GX Eagle 12-Speed Rear Trigger Shifter, MPN: 00.7018.317.000 GX Eagle XG-1275 12-Speed Cassette, MPN: 00.2418.078.000 GX Eagle 12-Speed Rear Derailleur, MPN: 00.7518.109.000 GX Eagle 12-Speed Chain, MPN: 00.2518.030.011. Compatibility : Must be used with other SRAM Eagle 12-speed components. The SRAM GX Eagle 12-speed is a don't break the bank, but don't sacrifice quality option for those looking to upgrade to 12-speed. The massive range provided increases the terrain riding capabilities while keeping the overall weight lower than almost other options available with this range. Trigger Shifter Information and Specs. Works with all levels of SRAM Eagle 12-speed. MatchMaker X allows your shifter and brake lever to share one clamp. X-Actuation technology ensures crisp and consistent shifts across all 12 speeds. 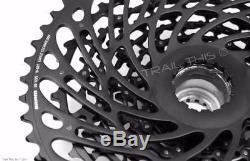 Cassette Body Type: SRAM XD. 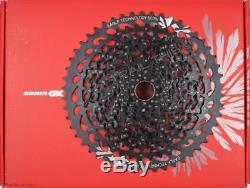 Compatibility: SRAM XD Driver Freehubs. 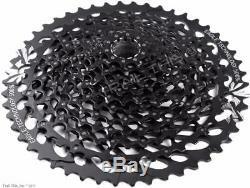 10-50t, Cogs: 10, 12, 14, 16, 18, 21, 24, 28, 32, 36, 42, 50. 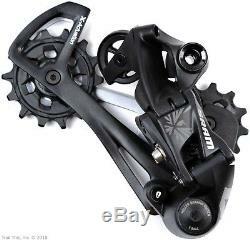 Rear Derailleur Information and Specs. SRAM's 1:1 X-Actuation for dependable 12-speed performance. Other technologies include: X-Horizon, X-Sync, Roller Bearing Clutch, and Cage Lock. Outer plates treated with a Nickel finish. 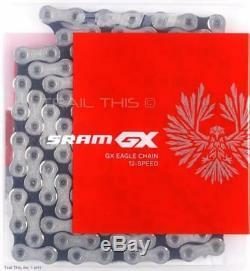 The item "SRAM GX Eagle 12-Speed 4-Piece Kit / Group Set Trigger Cassette Derailleur Chain" is in sale since Wednesday, January 3, 2018. 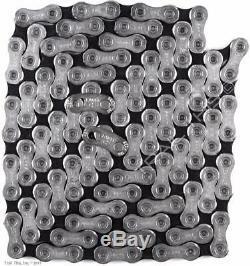 This item is in the category "Sporting Goods\Cycling\Bicycle Components & Parts\Build Kits & Gruppos". 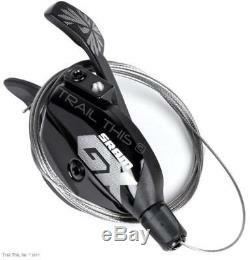 The seller is "trailthis" and is located in Mount Horeb, Wisconsin. This item can be shipped to United States.